"The impact Whose Shoes?® can have re developing User and Carer knowledge and understanding about the Personalisation Agenda is fantastic - and with the additional social outcomes it has for partnership and peer learning - its phenomenal. People absorb more when they are having a good time!!! " “I was blown away with how much any one person coming from whatever perspective can gain in knowledge by playing a game in the right context (training days/ presentations & interactive workshops etc)"
I wish you every success in your venture, Gill. I believe in the importance of the work that you do. 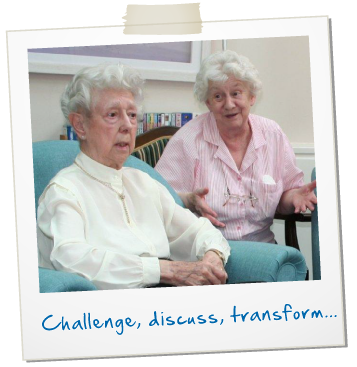 I know that it makes a big difference in my life and in the lives of people affected by dementia." On behalf of the team I would like to thank you for your input into our away day. It was really excellent. I would recommend this to other staff groups"
Whose Shoes?® was a fantastic way to discuss the issues of personalisation in a friendly, comfortable, non-threatening environment." The workshop Gill ran for us had such an impact on our work that we bought two copies of the game, which can be used to broaden thinking (and horizons) across the wider organisation. Well done Gill - an invaluable resource for all." 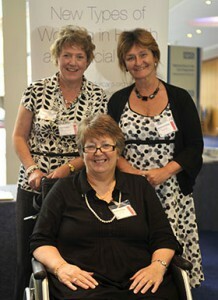 Thank you so much for the day, Gill, we have received a lot of very positive feedback. It was great and people were thrilled with your game"
Thanks again for your time, enthusiasm and support yesterday to make our festival of ideas event another fabulous success! Well done to you! I attach the evaluation we have pulled together from everyone’s comments. Great stuff!" I really enjoyed the workshop. 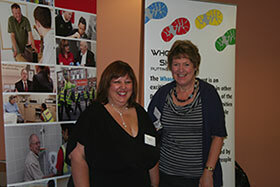 Whose Shoes?® is a challenging, but safe, fun way of exploring a range of views and perspectives on personalisation. A great learning and development tool it can also be used in other arenas such as team meetings to generate personalisation big picture discussions"
As a student and almost a newly qualifying social worker, the game developed my understanding of the personalisation agenda and how it’s implemented in practice." I now feel equipped, taking on what I learnt into my future practice and I remain committed to the values of the personalisation agenda!" Gill is passionate about her work. She understands her subject and this is reflected in the content of the Whose Shoes?® tool. 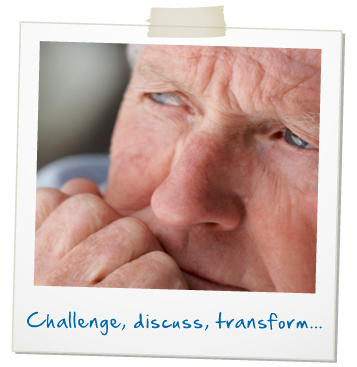 She makes her workshops interesting and educational and encourages all levels of staff to discuss problems associated with health or social care. Gill is a great colleague and service provider"
We have used the Whose Shoes?® game as part of our Inter Professional Learning (IPL) workshops with nursing and social work students, and the session was really well evaluated. One of the evaluation comments from a social work student was "it gave me more of an understanding of nurses' roles; I enjoyed the game, it created good discussions"